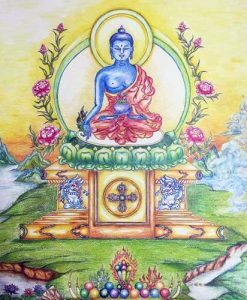 In this long painting course, you will learn how to draw or paint the Medicine Buddha and Medicinal Plants according to the tradition of the Tibetan Buddhist Thangka (scroll paintings). 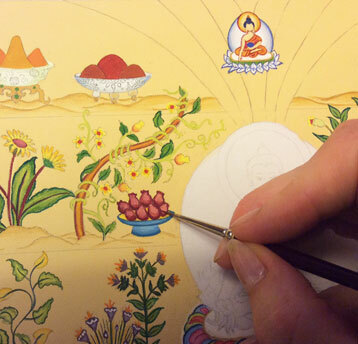 An international group of people comes together for this special thangka painting retreat, where you really can go in-depth. the course includes starting with a meditation in the morning and lectures & slides about the iconography and symbolism in Tibetan Buddhism. You will also have time to fully enjoy the beautiful surroundings of this place and their delicious Italian cuisine (vegetarian). The vegetables are produced organically on the compound. Halfway during the retreat there will be an afternoon off so you can taste the best ice cream in the nearest village of Arco, visit the Garda lake, hike in the mountains or have a great walk to ‘Castello’, the medieval castle on top of the hill overlooking Arco. You don’t need any drawing or painting experience. The teachings are given in English, when there are a lot of Italians they will be translated in Italian. 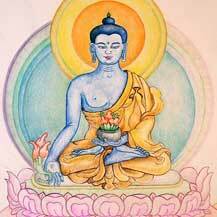 According to your wishes you can choose to draw the Buddha /plants (and color them with color pencils) or draw and and learn how to work with the special thangka painting techniques. 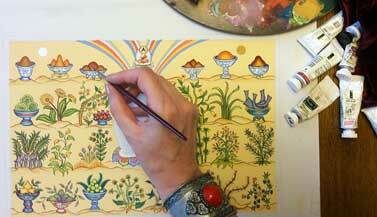 You can also use this retreat to finish the drawings and paintings that you created in previous classes. If you are unable to come for the full course, you can also join half the course. Want to travel together with other participants? From Amsterdam a few people travel with Transavia to Verona in the early morning, you are welcome to join. It’s also possible to meet up in Veronato travel the last part to Kushi Ling together (with public transport/taxi). If you want to join please contact Carmen about it. 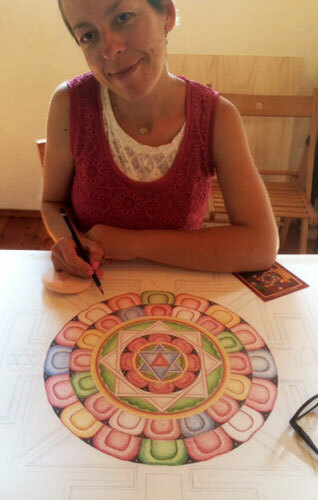 “When I knew about the five elements mandala course I thought it would be an interesting and beautiful way of develop my knowledge about this subject. My personal intention was to achieve more clearness in my mind. I saw the mandala as a mirror of my own energy. I feel this work as a very complete and clear meditation where we can observe the mind, the sight (seeing) and our hand (as expression). And the connection between them. My experience show me that although the constantly waves of my mind (by them I couldn’t believe I could do just a complex and beautiful work), the mandala was growing surprising beautiful. And, in between, I knew a lot of more things about me. I should be very proud! Also I feel grateful to spend 9 days in Kushi Ling, this peaceful place between the mountains. With a great company of the group and with the guidance and wisdom of Carmen. Friday June 2nd: you can arrive at your own pace during the day. In the evening we start at 19.00hr / 7pm with a welcome dinner for all the participants. Sunday June 11th: we end after lunch (around 14.00hr / 2pm). The course price is: €255 + 9 nights of lodging & all meals. Half course: It is also possible to join for half the course, either from June 2-6 or June 7-11. Price half course: €140 + 4 nights of lodging & all meals. Kushi Ling is a gorgeous retreat center in between mountains and surrounded by olive trees. It’s about 15min. by car to the nearest village, the beautiful place of Arco. The nearest airport is Verona, but you can also fly to Milan. The trip to Kushi Ling offers great views and pittoresque villages, especially when traveling along the Garda Lake. > Verona is a beautiful city (the city of Romeo & Juliet!) and well worth a stay. In the summer the famous open air operas are held in the historical city centre. – Next take the train from Verona to Rovereto. The ‘treno regionale’ is the cheapest (around €7) and takes 50min. (don’t forget to stamp the ticket before you get onto the train). Take bus 332 or 301 to Arco (Autostazione) and take a taxi (or share with others) for the last part to Kushi Ling (max. €15). If you cannot find a taxi in Arco you can call Antonella: +39-333 5963033 or +39-0464 518983 or a different taxi service: +39-0464 – 514520. Optional: You can also walk the last part from Arco but it’s steep/uphill -it’s a great walk but might not be handy with luggage- which will take about one hour. Dal centro cittá prendere la strada (a destra) verso Laghel. Arrivati alla chiesa Santa Maria di Laghel si prende la salita a sinistra e si segue tutta la strada (circa 3 km) fino alle Fontane: è l’ultima casa. 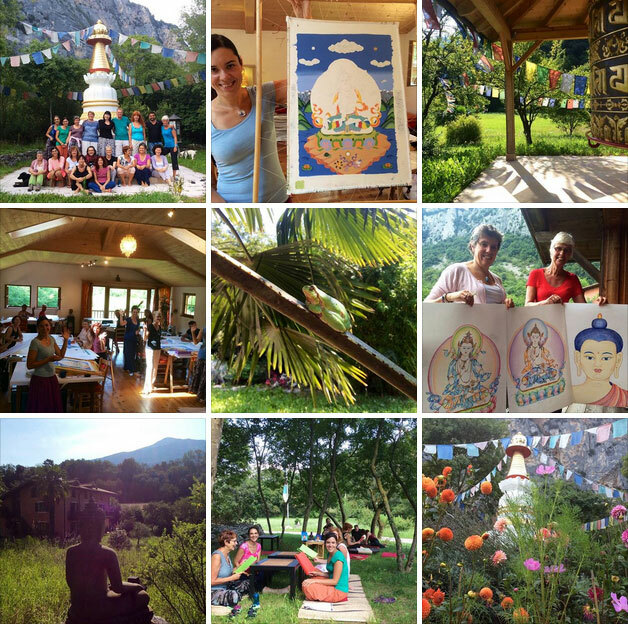 > The Garda Lake is one of Italy’s most popular places to visit, and great to combine as vacation with this thangka painting retreat. ‘Lago di Garda’ offers great views, mountains, and small villages full of colorful houses. 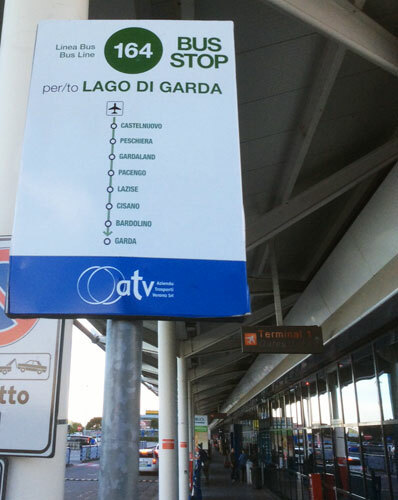 – From Verona Airport take a taxi or bus 164 (in front of the airport) to Peschiera del Garda. The bus goes once an hour. Peschiera is a lovely village at the bottom of the Garda Lake and from there you can take the once-a-day slow boat (4hr, only €16) to Riva del Garda, which is all the way to the top of the lake. The trip is a vacation in itself, with amazing views and short stops at pittoresque villages. 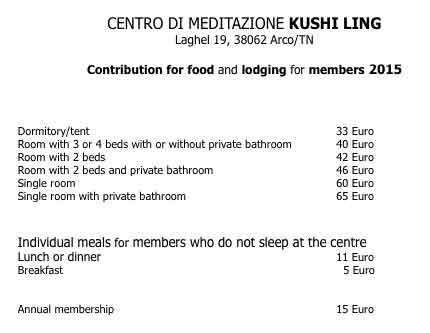 – From Riva (del Garda) take a bus to Arco (read further at A) or take/share a taxi (around €25) to Kushi Ling. 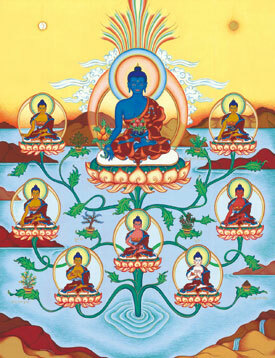 From Verona Airport you can book a taxi to Kushi Ling (that you could share with other thangka students). It takes about 1,5hr. to get there. 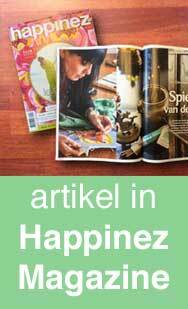 Especially handy when you want to combine the thangka painting course with vacation in Italy. If you need help with your planning or want to travel together with other participants you can contact Carmen. When all participants leave after the thangka painting course, you can probably travel back with others or get a ride to a train or bus station. Please register with Kushi Ling a.s.a.p. to avoid disappointment (as the course may be full or the rooms of your desire may be taken).